More than 500,000 truck accidents occur each year in the United States. Over 5,000 people are killed and 140,000 are injured in these accidents. Large 18-wheeler trucks are important to American industries, but their enormous size poses danger on roads and freeways, especially on the streets of New Orleans. 18-wheeler truck accidents that result in personal injury or extensive property damage are subject to lawsuits and you may be eligible to recover your losses for pain and suffering, serious injury, death, loss of income capacity and medical bills. If a personal injury ends in a fatality, family members are able to file a wrongful death claim on behalf of the deceased. 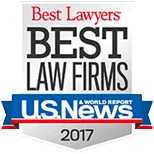 If you or a loved one has been injured in a large truck accident, please contact us to speak with an experienced Louisiana truck accident attorney about your legal rights. Our qualified and experienced attorneys can discuss your questions and concerns, and advise you on how to best to protect and maximize your legal rights. If involved in a truck accident, the same steps would be taken as in an auto accident. These steps will ensure your health, safety and interests are fully protected. Call the police to file a detailed accident report. Gather information from the other driver including contact information, driver’s license number and insurance information. Do not sign or admit fault. Anything you say may be legally held against you. If a camera is available take pictures of the scene and damage to the vehicles. Identify the witnesses at the scene. According to studies, one of the most common reasons for truck accidents is driver fatigue, which is responsible for 30 to 40 percent of all trucking accidents. These alarming statistics have persuaded the Federal Motor Carrier Safety Administration (FMCSA) to implement new rules in 2003. These guidelines have decreased the number of hours a truck driver can drive consecutively before going off duty for a minimum period of rest. Other reasons large truck accidents may occur are due to the decreased visibility, the inability to react quickly, and the longer distance it takes to make a complete stop because of a truck’s heavy weight. In some cases, the truck may have mechanical problems. The trucking company is responsible for ensuring that all trucks are in good mechanical condition before hitting the road. It is important for truck drivers to take the proper safety measures when sharing the road and not injure innocent victims. There are particular federal regulations that all commercial truck drivers are required to observe. These rules are called the Federal Motor Carrier Safety Regulations and are important in a trucking case. Lamothe Law Firm trucking lawyers know the regulations involving commercial trucking. their insurance company and/or their employer.